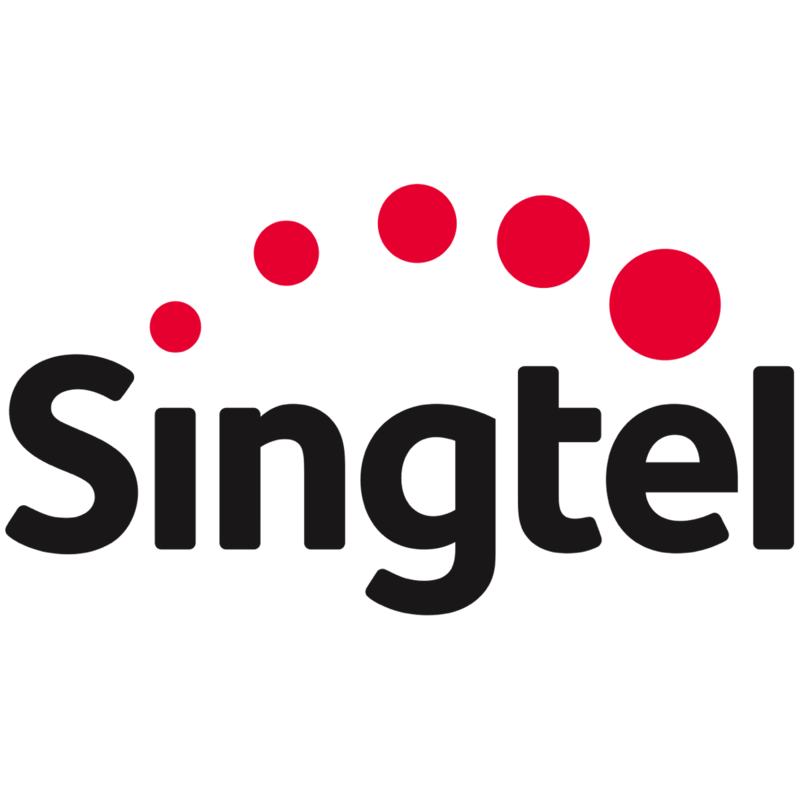 We expect SingTel to report underlying profit of S$705m (-1% q-o-q, -21% y-o-y) in 3Q19 versus consensus estimate of ~S$750m. FY19F/20F earnings cut by 3%/6% mainly on the back of weak Bharti, Digital Life! and AUD/SGD forex rate. Maintain BUY with a revised Target Price of S$3.50. Accumulate Singtel on potentially weak 3Q19F results – Bharti comes free. SINGTEL (SGX:Z74) is trading at a 32% holding company discount (vs 12% historically) mainly due to Bharti related issues which ironically suggests that Bharti’s market value is zero. On the contrary, based on Bharti’s share price, SingTel’s stake in Bharti is worth S$9.3bn (~18% of SingTel’s cap). Bharti is poised to enter EBITDA growth territory in FY20F, after stabilizing its EBITDA in 3Q19 and its earnings might turn positive in FY21F. Meanwhile, SingTel might report weak 3QFY19F results on 14 Feb, due to losses from Bharti and a weak Australian Dollar (AUD). Nevertheless, negatives are priced in for SingTel and assured DPS of 17.5Scts (5.7% yield) is attractive with earnings stabilization in FY20F and 12% growth in FY21F. S$80m impact from the weak Singapore Consumer and Digital Life! businesses. Public listing of Airtel Africa, tariff-hike in India, monetization of digital business. Public listing of Airtel Africa in early 2019, tariffs have been stable in India over the last 12-months and gradual tariff hike by Reliance Jio can’t be ruled out (our base-case is stable tariffs), exit of SingTel from its digital businesses (worth ~S$2bn) over the next 2 years. Maintain BUY with a revised Target Price of S$3.50. We reduce our sum-of-the-parts (SOTP) valuation to factor 1% lower core FY20F EBITDA, and higher holdingco discount of 10% (from 5% previously) to reflect continued losses from Bharti in FY20F. Refer to the PDF report attached for the details of SOTP valuation. Bear-case valuation of S$2.65 suggests ~7% downside risk. This scenario assumes an absence of EBITDA growth at Bharti in FY20F and weakness in the core EBITDA. We expect weak underlying profit in 3Q19F. We estimate SingTel’s 3Q19F core earnings to come in at S$705m (-1% q-o-q, -21% y-o-y) driven by ~S$90m loss from Bharti Airtel (vs. S$6m loss in 2Q19) offsetting S$235m earnings contribution from Telkomsel (S$213m in 2Q19). We think SingTel may recognise ~S$77m exceptional gains from deconsolidation of Airtel’s payment bank but this should not be part of SingTel’s underlying profit due to the nature of the gains. We project earnings from Singapore to expand 6% q-o-q, driven by > S$100m-S$200m rise in ICT revenues stemming from the resumption of smart nation contracts coupled with lower losses from Digital Life! that would offset the seasonal weakness. Australia should also see a sequential recovery driven by a seasonally stronger quarter and marginal improvement in NBN migration revenues, partially offset by ~1.5% depreciation of the AUD. 3Q19F core earnings from the mature markets (excluding associates) likley to be S$ 413m (- 17% y-o-y drop). The bulk of the drop in core earnings would stem from Optus in Australia. The y-o-y drop from Australia would be primarily due to the drop in National Broadband Network (NBN) migration fees in Australia; we expect the fees to be ~A$40m in 3Q19F compared to A$78m in 3Q18, and A$23m in 2Q19. Optus is likely to record earnings of S$174m (+16% q-o-q, - 30% y-o-y), largely owing to market share gains from Telstra on account of its improved 4G network in the regional areas. The y-o-y drop can be explained due to much lower NBN migration fees compared to A$78m in 3Q18. This coupled with higher cost of sales on postpaid subscriber additions, higher traffic expenses on NBN and higher depreciation and amortisation charges on Optus’ network roll-out along with a weaker Australian Dollar could potentially dilute market share gains for Optus. Singapore operations are expected to yield core earnings of S$239m (+6% q-o-q, -4% y-o-y) due to > S$100m rise in revenues sequentially from Smart Nation contracts and lower losses in the Digital Life! segment. An expected S$100-150m savings through cost cutting initiatives should partially offset the weakness in the consumer and digital segments in our view. Associate contributions to fall 20% q-o-q owing to a weak Bharti. We project associate contributions of S$300m (-28% y-o-y, -20% q-o-q) in 3Q19, with growth in contributions from Telkomsel and AIS, wiped out by a S$90m loss from Bharti Airtel and sequentially weaker contributions from Globe Telecom. Contribution from Telkomsel is likely to expand ~9% q-o-q supported by benign competitive dynamics in Java. Bharti remains the biggest overhang. Bharti Airtel reported a net loss of INR 10.4bn (~S$200m) before exceptional gains in 3Q19 as operating conditions in India continued to deteriorate. Consolidated revenue was INR 205.2bn (+0.5% q-o-q and +1% y-o-y), driven by strong performance in Africa, while EBITDA stood at INR 62.2bn (-0.4% q-o-q and - 16.7% y-o-y). Airtel’s EBITDA continued on a downward spiral despite the telco’s cost cutting measures as network access and operating charges expanded on accelerated 4G roll-out and rise in tower rentals owing to the exit of Vodafone Idea. Since Sep 2016, industry revenue took a nose dive. Since Reliance Jio’s commercial launch in Sep 2016, industry revenue has dropped over 30% with industry participants now reduced to three major players – Vodafone-Idea, Bharti and Jio. Cheaper data tariffs offered by Jio along with voice cannibalisation by data has resulted in steep decline in operating profits for incumbent. Indian blended average revenue per user (ARPU) of USD 1.3- 1.4 is one of the lowest globally. According to Fitch Ratings, industry revenue has declined to around USD 20 billion – lower than 1% of India’s GDP, which is extremely low compared to other telco market globally. The tariffs have finally stablized now with no mobile tariff reduction by Jio over the last 12-months. However, we do not expect to see any upward revision to Jio’s tariffs over the next 6-9 months under our base case scenrio. Jio continues to capitalise on the network weakness of Vodafone Idea to poach subscribers. Entry of Jio to the home broadband and Direct-to-Home (DTH) segments could add further pressure on Airtel’s bottomline. Overall, we expect Bharti Airtel’s FY20F/21F EBITDA to see 10%/11% growth on the back of revenue stablization in India and growth in Africa. However, rising depreciation and amortization may still lead to continues losses at Airtel in FY20F and significant improvement in FY21F only. High single digit growth in contributions from Telkomsel. We expect contributions from Telkomsel to expand 9% q-o-q over 3Q19, supported by continued recovery in the industry after the pre-paid SIM registration period in 1H18. Competition in Java continues to remain benign and has allowed Telkomsel to institute several data pricing revision cycles on selected packages in the region. Competition outside Java, which accounts for ~60% of Telkomsel’s topline, continues to remain tight however, with XL Axiata maintaining an aggressive stance to poach revenue market share from Telkomsel. We expect Telkomsel to shed ~2%-3% in revenue market share to XL Axiata over FY20F, as the battleground in ex-Java continues to remain tight, translating to ~7% y-o-y growth in contributions from Telkomsel over FY20F. AIS and Globe to offer some respite. We project contributions from AIS and Globe would continue to expand, partially offsetting Bharti’s weakness. Core Business to be broadly stable with Australia offsetting the weakness in Singapore. Core markets to exhibit mixed results over FY20F. We expect Singapore EBITDA to remain under pressure in FY20F, with pressure mounting up on the Singapore consumer segment. Entry of TPG in 1H19 and on-going migration to SIM-Only plans would continue to weigh on the mobile segment, while cord-cutting and pricing pressures continue to be the norm in Pay-TV and broadband. Singapore enterprise business is also likely to remain under pricing pressure from STARHUB LTD (SGX:CC3), which continues to expand its ICT portfolio with a heavy focus on Cybersecurity.